يشكل بارك افنيو - جلين سنترال فيكي بموقعه الممتاز في المدينة نقطة انطلاق جيدة لاستكشاف أفضل ما فيها من معالم ومناطق نابضة بالحياة. يحظى هذا الفندق ذو 4 نجمات بمكان ممتاز يسمح بالوصول إلى المعالم السياحية الأكبر في المدينة، فهو يبعد مسافة 25.Km عن صخب المدينة. كما يمكن الوصول بسهولة إلى عدة معالم سياحية قريبة. إن بارك افنيو - جلين سنترال فيكي حريص على توفير الراحة للنزلاء، فلا يوفر الموظفون جهداً في تقديم أفضل الخدمات وضمان حسن الاستقبال. يقدم الفندق فرصة للاستمتاع بشريحة واسعة من الخدمات بما فيها: مطبخ, واي فاي في المناطق العامة, موقف سيارات, غرفة عائلية, خدمة غسيل الملابس . لقد جهزت هذه الإقامة الفندقية بعناية فائقة لتوفر مستوى عالي من الراحة. في بعض الغرف يجد النزيل تلفزيون بشاشة مسطحة, سياسة التدخين - غرف لغير المدخنين متاحة, مكيف هواء, مكتب, شرفة/ تراس. كما أن مجموعة الخدمات الواسعة الموجودة في الفندق لضمان راحتك تترك لك الكثير من الخيارات لقضاء وقتك أثناء فترة إقامتك. إن كنت تتطلع إلى إقامة مريحة وهادئة في المدينة، فستجد في بارك افنيو - جلين سنترال فيكي بيتك الثاني. I liked the place, it is walking distance to the train station, library, centrelink, shops and The Glen mall for groceries, shopping and cafes. Facilities are very good inside the apartment and the staff are really helpful. A very neat and clean apartment. Good location. Easy to access. Quiet environment. Near to many eateries nearby. Convenient location. Nice cosy clean apartment. excellent location for us to eat , shop and the reason we are here attending wedding. Honestly the most perfect place to stay, my boyfriend and me are in our early 20s and found the location wa so close to nice burger shops, cafe and restaurants. It was so easy to jump on a bus or train. We stayed next to the road but had no issues with noise, an amazing kitchen with all the untensils we needed, a nice hidden laundry and comfy beds! We actually had got upgraded to a 2 bedroom apartment. After reading some of the reviews about this place I second guessed it and boy was I wrong! I'm not one to even write a review but viqi was such an amazing place to be and great value!! Even my family in Melbourne were suprise and amazed. Only thing would be internet but since there was Foxtel didn't really need it! Everything is good, except for the disappointment during check-in/ arrival. It should send the instruction email to the customer a few days at least before moving in as not everyone will be free to check the email everyday until the very last day before moving in. 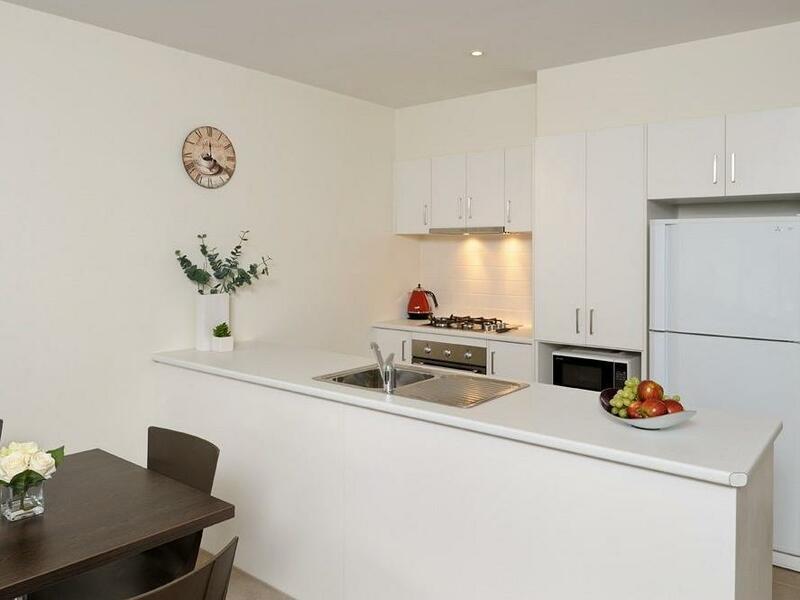 This apartment is really close to Asian restaurants and cinema and comes with free underground secure parking so it is a very good option compared to the other apartment located in Glen Central under the Park Accomodation Group which charges you for parking. However, don't be fooled by AGODA's claim that the apartment has free wifi because it is NOT FREE. The rates that the apartment charges is extremely expensive, so please get yourself a mobile WIFI from the local telcos instead as it is more value for money. Apartment wise it is definitely worth the money we paid and we will surely rent again in future if we need to. Good and will go back again. Will not stay again, no reception is really disappointed. It's not a hotel, it's like a server yourself on your own apartment. Even nobody gives you the key, need to follow their PDF instructions all the time , very annoying. Location is nice. A dining centre is jus across the road. Train station and shopping centre are near. The room is spacious and clean. Staffs are very helpful (over the phone). The floor of the balcony was a bit dirty. Some TV channels cannot be received. Clean apartment, everything self service, near shopping and restaurant, secured covered car park, fully self equipped, easy access to freeways. Thanks to Agoda for messing up with my earlier booking at Crystal Brooks, that i got to stay at this place. This place is centrally located, very convenient around Glen Waverly. Easy to go to the City too. Worth the money! No problems at all. Had a great stay & fuss free. 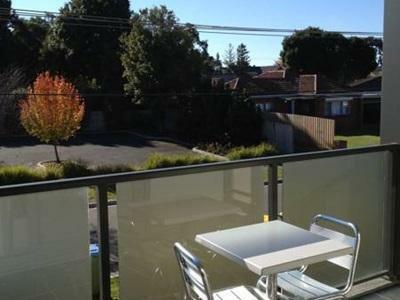 Self-service apartment in quiet neighbourhood, next to The Glen shopping Centre with heaps of eateries and shopping. Great if you have a need to be located in SE Melbourne vicinity.